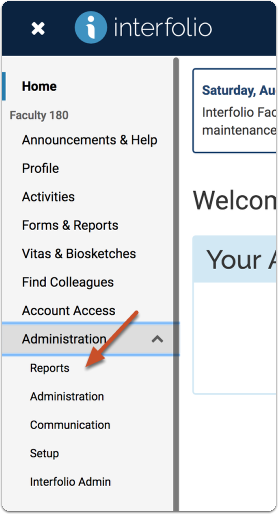 Open the Adminsitrative Reports section. 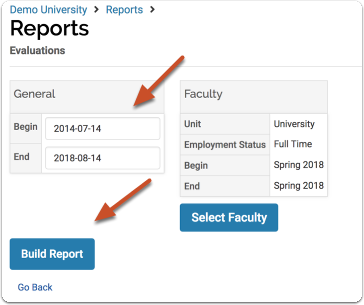 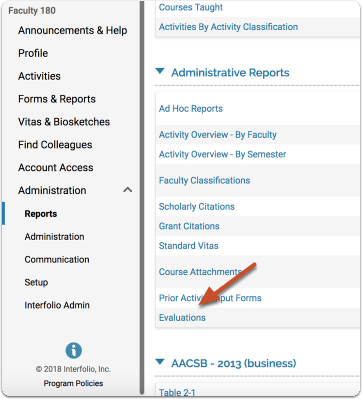 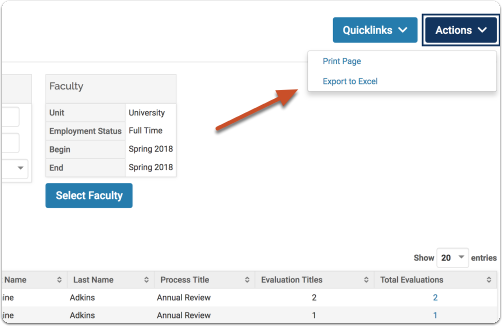 Select a range and make any faculty configurations to narrow or expand the filter, and click "Build Report"
Click the Total figure in the Evaluation Titles Column. 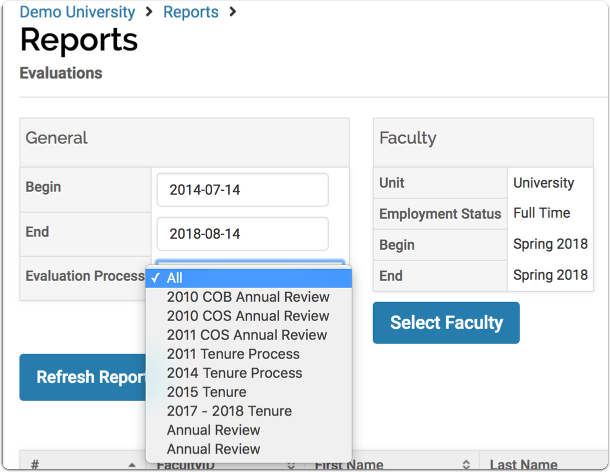 Select an evaluation process, including "All" from the drop down menu, and click "Refresh Report"